Five suspects have appeared in court in the Kenyan capital Nairobi in connection with Tuesday's deadly hotel attack. The amount that lasted more than 18 hours and was claimed by the armed group, al-Shabab, left at least 21 people dead. 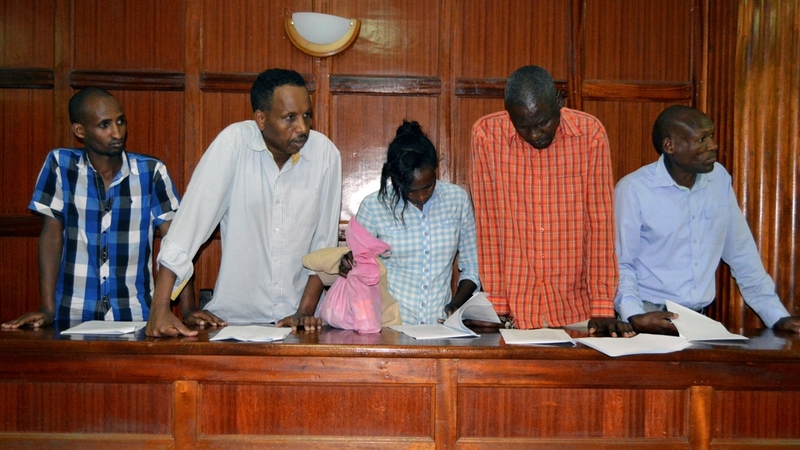 On Friday, the court requested the prosecution to hold the suspects – four Kenyans and a Canadian national – for 30 days to complete their investigations. "The team of investigators has so far covered significant grounds in the investigations," said Noordin Haji, director of public prosecution, in a statement on Friday. "The investigations of this case are complex and transnational and will therefore require sufficient time and resources to uncover entire criminal syndicate, "added Haji. On Wednesday, Kenyan President Uhuru Kenyatta said that The gunmen behind the attack were killed and added that Kenya will hunt every single person involved in the siege. On Friday morning, companies in Nairobi's trading center in Eastleigh were closed in solidarity with the victims of Tuesday's attacks. Traders told Al Jazeera the attack was an attempt by the armed group to harm the city's business environment. Mohamed Ali Abdi, a trader in the eastern suburb said Tuesday's attack that people were shaken but decided. "We closed our stores because we take care of the deaths of our brothers, our other Kenyans who lost their lives. We will tell those who will destroy Kenya, we will destroy you," he said. The attack on DusitD2 was the first in Nairobi since the Westgate Mall attack in 2013, which left more than 60 dead.